DF: You make the point that “Misreading the Beats had indeed often gone hand in hand with misreading their French predecessors,”—and you give Artaud as a notable example. Can you say a little bit about your background as a scholar working in French and American literature and how you came to write the book? VL: Yes, it’s a platitude to say that the Beats have been misread, but you put your finger on it exactly, because so too are many of the French writers that were foundational to their work. That’s one reason that first pulled me into the subject: I thought I might be able to draw on the expertise I had acquired through my PhD on Artaud and Genet to see if Burroughs, Kerouac and Ginsberg read the French authors they admired any better than American readers, critics included, who often lose a lot in translation. But what I found took me in a different direction. Although it’s true to say that Ginsberg didn’t really grasp Artaud (his “theatre of cruelty”) or that Burroughs misunderstood some of Genet’s ideas (his paradoxical ethics of “betrayal”), it wasn’t because these Americans were paying homage to figures they idealised and didn’t really care about their writing. Not at all. I found that what mattered for them was indeed the texts, and always was—right from the beginning in the New York of the mid-1940s, when the Beat circle first came together through a shared passion for French literature, long before any of them set foot in Paris. DF: There has been a lot of recent scholarship on Transnationalism in relation to the Beats. How does your book contribute to the Transatlantic turn in Beat Studies and how does it fit in with, or differ from, recent critical work? VL: The question of national or transnational identity is almost unavoidable for anyone interested in the Beats. The tricoleur on my book’s front cover might give the impression its focus is on France or French culture, or French national identity, whereas it really isn’t. 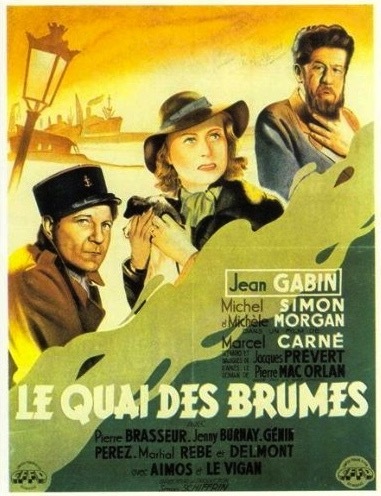 First, because the French writers appropriated by the Beats, such as Genet, were far from identifying themselves with France! If anything that’s actually one of the reasons the Americans engaged so directly with the French authors they liked, because they too were at a radical critical distance from their native country. On the other hand, you couldn’t call my book “Transnational.” There’s been much fine work done recently under that umbrella term—from essay collections edited by Nancy Grace and Jennie Skerl (2012) or Polina Mackay and Chad Weidner (2013), to Jimmy Fazzino’s World Beats (2016)—but what I wanted to do was different. My book required a much tighter focus than is really possible from inside a broad transnational framework. I wanted to see how, at a detailed textual level across entire oeuvres, specific writers engaged creatively with specific literary sources. That’s also why I limited the book to just the “big three” of Kerouac, Ginsberg and Burroughs. So to some, The French Genealogy of the Beat Generation might seem old-fashioned. But I see it as a step back in order to move forward, reculer pour mieux sauter, as we say in French. It’s only by narrowing the focus to do in-depth close readings that you can see the extraordinary work performed by genealogy in the creative process. I’d love the genetic analysis I’ve done to inspire others to do further detailed textual work, especially in areas I didn’t have the expertise or the space for. In particular, I hope other scholars can build on these foundations to explore the much wider field of Beat and post-Beat writers and artists, from Gregory Corso and Philip Lamantia to Brenda Frazer or Diane di Prima; to analyse the textual importance of other literary genealogies for such writers and artists, to begin with the Russian (Dostoevsky, Gogol, Mayakovski) and German (Kafka, Goethe, Rilke, Spengler); or to attend more than I have done to issues of gender, race and class. For example, is the Beat pantheon of inspirational writers really as exclusively male as it seems? What would a textual study of the importance of Genet and Rimbaud for Patti Smith reveal? I think that kind of detailed comparative work would help change our understanding of the Beats, to see what actually—textually or aesthetically—lies behind the now accepted fact that their works were fed by a welter of cultures. DF: You write that “Had it not been for French literature, there might well have been no Beat Generation,” and also that “French culture did not merely inspire or engage the so-called founders of the Beat Generation; it shaped their works.” Why was French literature and culture so important to Kerouac, Burroughs, and Ginsberg? 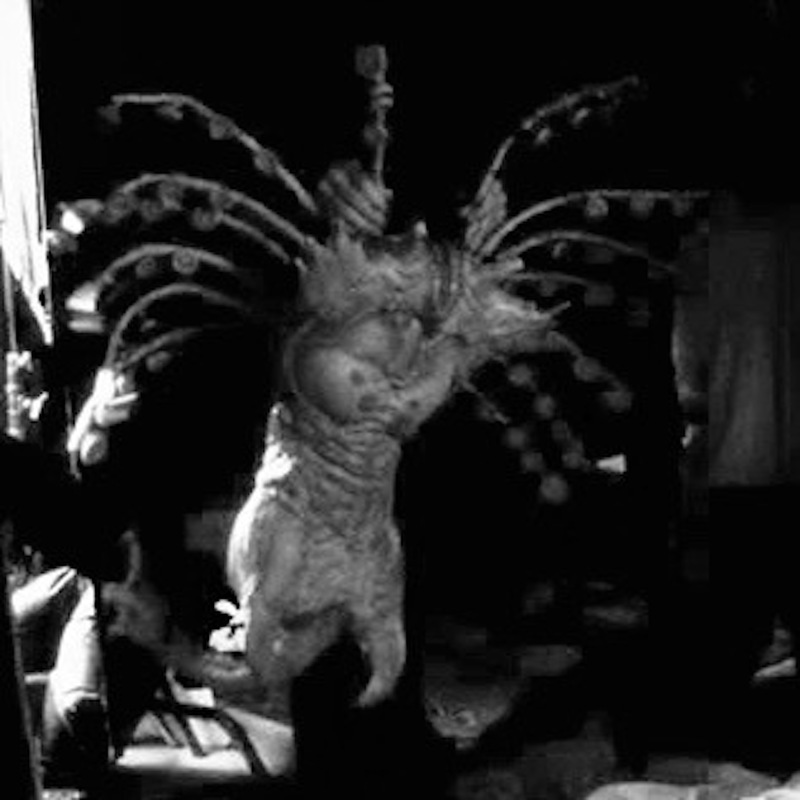 VL: I think people will find some totally unexpected connections in the book, things that certainly came as a surprise to me. When I started out, all I knew was that Ginsberg names many French poets in his own poetry, that Burroughs first published in France to avoid American censorship, and that Kerouac was raised in French. I thought it might be about national identity and about the making of legends; I didn’t realise how much the book would be about aesthetics, about texts and the writing processes behind them. If you read it you’ll see, for example, that Kerouac’s Francophone origins were only the point of departure for his Duluoz Legend: although an attentive reader can constantly hear these origins in his writer’s voice, the aesthetics that shaped his spontaneous prose had much less to do with living in New England or his family coming from Quebec than with literary and cinematic works created in France. I wasn’t expecting either to find in Ginsberg such a kind of secret engagement with French poetry, because he is so well known for being open about everything to the point of being an exhibitionist. And yet, for him it was the measure of his seriousness as a poet that his work was so intimately bound up with the predecessors he admired. I had no idea how profoundly Ginsberg adapted his French sources, how he even translated Apollinaire and Genet, and I certainly wasn’t expecting to discover he had encrypted his references so that you had to know the originals to have any chance of finding them there. So the Ginsberg who emerged for me was not at all the poet who stripped down naked to shout out “Howl” and in a Joe College way dropped a lot of French names. Would there have been a Beat Generation without French literature? I was being a bit polemical here, of course. But what I found in studying the very first Beat work, And the Hippos Were Boiled in Their Tanks, which Burroughs and Kerouac co-wrote in 1945, was the paradoxical way in which a French genealogy was absolutely central to it and yet easy to miss, or to mistake for something else. On a first reading, the novella seems only to name names in a very superficial way: there are literally dozens of references to writers and painters, and the figure of Rimbaud is constantly evoked. There’s a degree of self-mockery here, a self-consciousness about these young Americans mythologizing themselves through Rimbaud and French literature. But what’s more or less hidden in Hippos is, as I discovered, made much more explicit in I Wish I Were You, the rewritten version of the novella that Kerouac made on his own immediately after. It’s only just been published in The Unknown Kerouac edited by Todd Tietchen, but I was astonished when I first read I Wish I Were You in the archives of the Berg Collection at the NYPL, because it shows Kerouac no longer restrained by writing in tandem with his cynical mentor (Burroughs), and discovering his aesthetics by developing subtle and sophisticated engagements with French texts, paintings and films, especially Port of Shadows (Le Quai des brumes, directed by Marcel Carné in 1938). Whereas Hippos makes light of its allusions, I Wish I Were You is in effect Kerouac’s first “bookmovie.” It’s a major creative breakthrough, due almost entirely to his integrating French poetic realist films into the optic of his writing. The way Kerouac literally built his work around Port of Shadows is astonishing in itself—rewriting the story so that it doesn’t end with a murder based on the real-life death of their friend Dave Kammerer but with the plot’s main characters all watching the French film in a cinema—and a was a sign of what was to come. In Kerouac’s first journals and notebooks this is also what we find: an insatiable working through of the writers that played a major role in the development of his own aesthetics. And while in the late 1940s and early 1950s other writers like Dostoyevsky or Joyce were of course hugely important for him, the centre of his creative process was French: Proust and his “master” Céline above all. DF: Whitman has long been cited as a key influence on Ginsberg but you tease out his longstanding interests in French authors, including the less well-known St. John Perse. Was this deliberate? VL: Absolutely. I was expecting to work mainly on Ginsberg’s relationship with Artaud, but I ended up focusing on Perse because the relation was textually much deeper and I discovered that nobody in the Beat field had done anything with Perse, perhaps because he is little known in the US and, at first sight, a poet that seems worlds apart from Ginsberg. So there were really two agendas here. One was to put my knowledge of French literature and criticism to use in a comparative way that hasn’t happened much in the Beat field. There are still very few Francophone publications that study Beat literature comparatively, and Francophone and Anglophone Beat scholarships remain two solitudes. The cultural one-sidedness of each academic tradition has made it almost impossible to understand the very bridging of French and American cultures that feeds into the oeuvres of Burroughs, Ginsberg and Kerouac. And the other agenda was more specific, to do with recognizing Perse’s long-neglected but key role in the genealogy of Ginsberg’s oeuvre and indeed in his identity as a poet. If my book achieves nothing else, I hope it persuades readers to see beyond the “mountain too big to be seen” (Whitman) and discover other poets, other great texts that shaped and informed Ginsberg’s conception and practice of poetry. DF: After reading your book, I felt inspired to read or re-read works by French authors, in particular Artaud, Céline and Genet, in light of the Beat writers and vice versa. How important is a comparative literature approach to your work? VL: Comparative and genealogical approaches naturally go hand in hand, but of course the two aren’t the same. It’s only in the book’s final chapter on Burroughs and Henri Michaux that I undertake a traditional comparative approach, making readings that don’t depend on tracing a genealogy of intertextual relations. There are very precise points of contact between Burroughs and Michaux, and their oeuvres can certainly be compared in terms of their very particular shared interests—in writing about their travels in Central America and drug experiences, in their quasi-scientific approach to creative experiments, and in their work in visual as well as verbal media—but here I actually wanted to look beyond my own focus on genealogy, to see what happens when you comparatively analyse distinct yet related work. Bringing together Michaux’s Meidosems (Meidosems, 1948) and Burroughs’ Mugwumps (Naked Lunch, 1959) revealed, I think, a good deal about their respective ways to challenge our perception of writing, reading and perceiving through chimeric creatures, while also making for new interpretations of both texts. In contrast, my chapter on Burroughs and Genet is both genealogical and comparative, although not at all how I originally imagined. Based on my knowledge of Genet’s work, I had expected to focus on issues such as sexual identity and politics, and assumed I would find traces of Genet’s broad influence in Burroughs’ writing. Actually, “influence” became for me a term I refused to use. It’s too broad, too easy to claim, and doesn’t take us far. Instead, I found myself pursuing two intriguing ways in which Burroughs used Genet. One of these started from the hostile fashion in which, in his final book, My Education (1995), Burroughs discussed Genet’s own final book, Un Captif amoureux (1986). 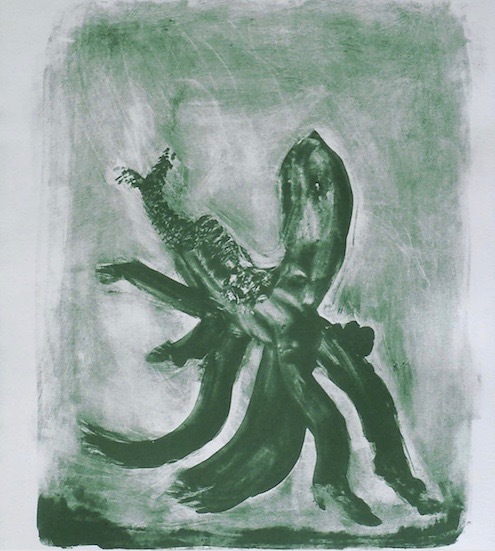 Instead of the expected homage, Burroughs puts Genet down in ways that, I argue, reveal the unique extent to which he saw Genet as the yardstick of his achievement, a measure for the success of his own oeuvre, especially in terms of its radical ethics. I then traced this tension or rivalry back to the mid-1950s, when Burroughs was reading Journal du voleur (1949) while writing Naked Lunch. And that in turn prompted a comparative reading of Burroughs’ first novel with Genet’s Pompes funèbres, a work that wasn’t widely published in French until 1953 and that he couldn’t therefore have read when he wrote Junky between 1950 and 1952, but that was doing something almost identical in its very odd intertextual use of Edgar Allan Poe. But to end where we began, the importance of the comparative approach for me is perhaps natural to where I’ve come from. My own intellectual and geographical journey made it unavoidable. 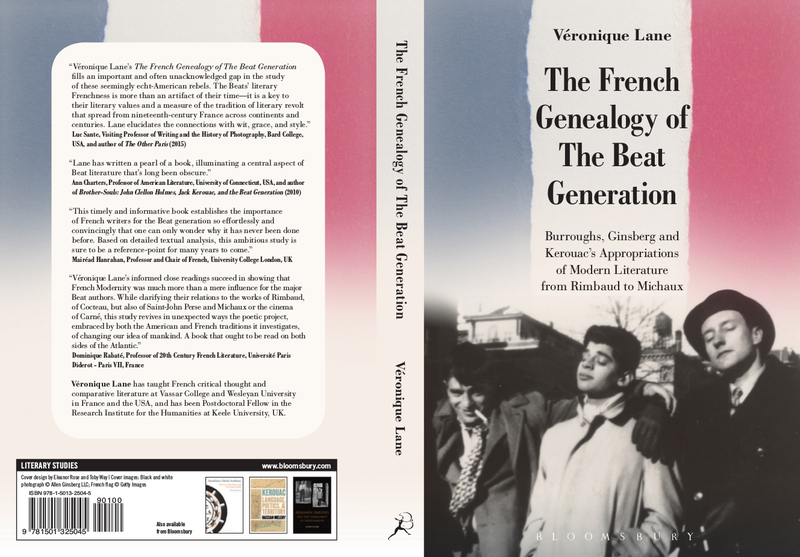 The project that turned into The French Genealogy of the Beat Generation emerged from the relocations I have made in the last decade from my native Quebec, to Paris where I completed my PhD, to the United States where I taught a course on the Beats at Wesleyan University, to the UK where I researched the book as a Postdoctoral Fellow at Keele University. I wasn’t trying to follow in the footsteps of Burroughs, Ginsberg or Kerouac, but my experience of two cultures, two languages, and two scholarly traditions, motivated me to explore a dimension of Beat aesthetics that went beyond biographical anecdotes about their time at the Beat Hotel or general claims about “influence.” You just can’t fully grasp what they were doing, how their work developed, if you don’t read them comparatively! So, going back to re-read Artaud, Céline and Genet would be a perfect response to my book, because in the end it’s about taking the works seriously as literature, whether in France, the UK, the US or anywhere else in the world. That’s what Burroughs, Ginsberg, and Kerouac all wanted, and deserve: to be read seriously.